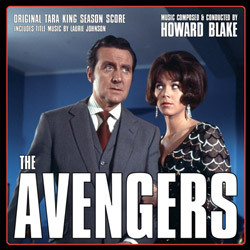 First release ever for Howard Blake’s music from the Tara King era series of The Avenger. The Avengers remains one of the great institutions of British television, a landmark series and the epitome of the swinging 60s. Following on from Johnny Dankworth, Laurie Johnson (whose classic theme tops and tails this release), Howard Blake delivered his own distinctive musical style to the hippest show on TV. This 50 track set covers all ten episodes that Blake scored spread across 2 CDs and comes with a 16 page booklet offering a fascinating background to the music, full episode credits and a wealth of pictures. Awarded the OBE in 1994, Howard Blake’s music career is extensive as both a composer, conductor arranger and musician covering everything from choral works and ballet to film and TV. His music for the Christmas perennial The Snowman, with its magical Walking In The Air theme has become a seasonal standard.